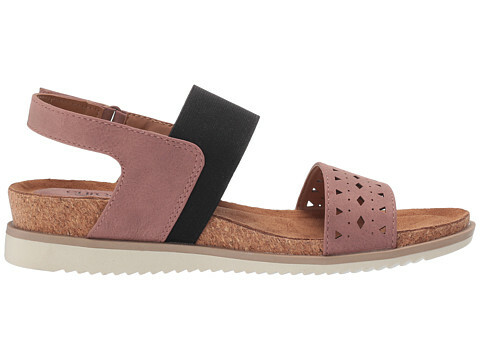 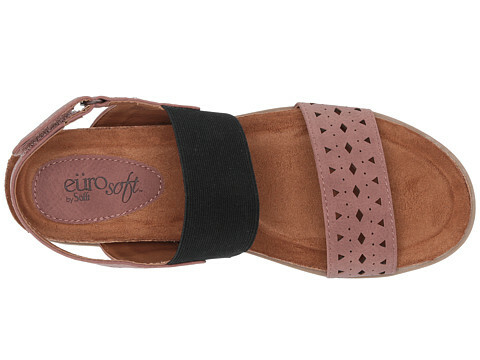 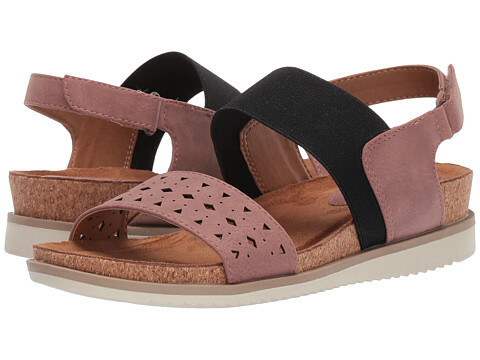 Slip into the stylish comfort of the summertime EroSoft Layla II sandal. 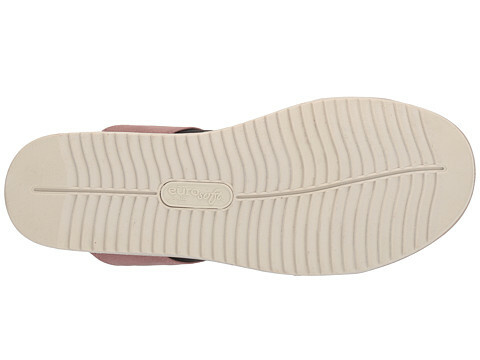 A supple synthetic and textile combo upper. 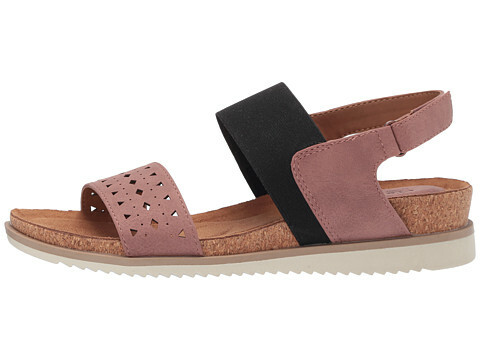 Perforated cutouts at vamp strap. 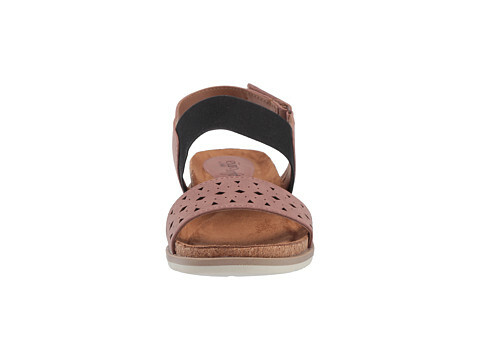 Lightly padded insole offers comfort with each step. 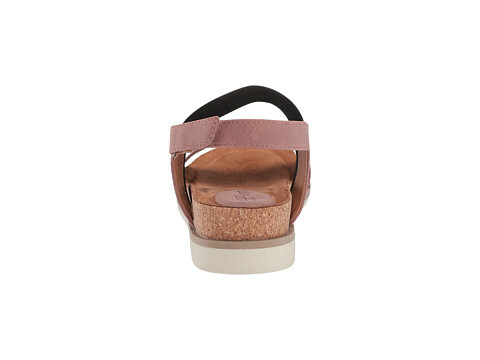 Low-profile wedge heel with cork midsole.